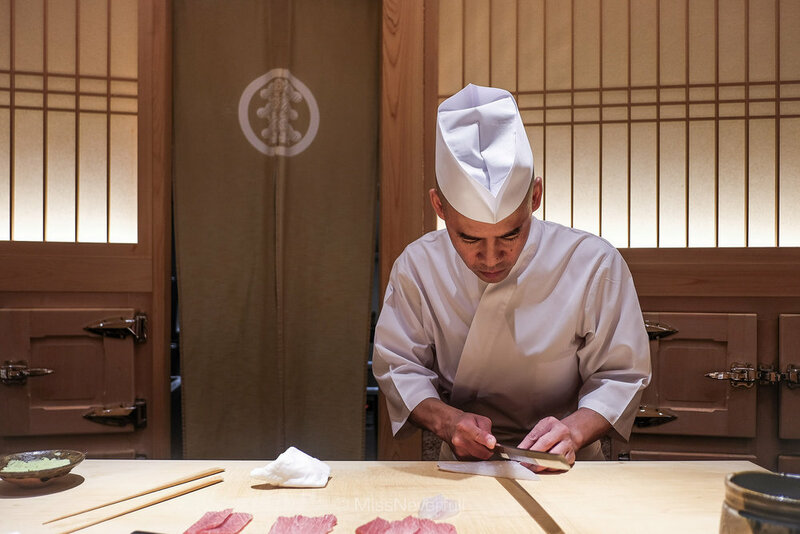 If the legendary chef Jiro Ono featured in 'Jiro Dreams Of Sushi' is the Leonardo da Vinci of sushi, reaching the pinnacle of his culinary journey in later years, then Chef Takashi Saito of Sushi Saito should be considered the Picasso of sushi. He is widely recognised as having achieved the height of his success at the early age of 40'. 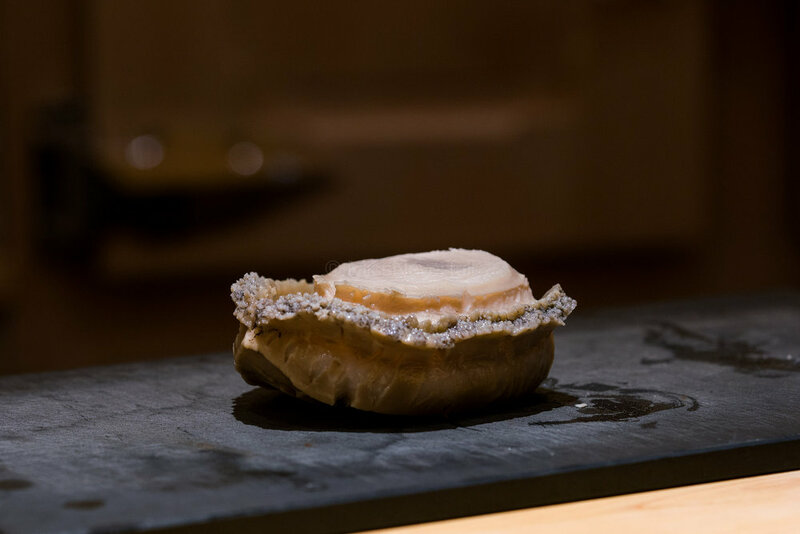 Takashi Saito began his career as an apprentice at Ginza Kyubey, one of Tokyo's oldest upscale sushi restaurants favored by locals. In 2000, another disciple Shinji Kanesaka left and opened his own sushiya Sushi Kanesaka* in Ginza, where Saito worked as the sous chef. 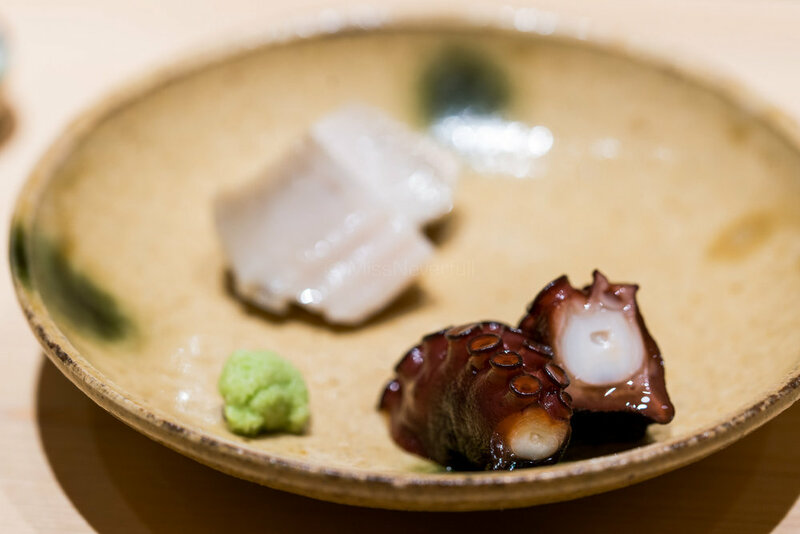 When Kanesaka opened a new branch in Akasaka, Saito-san was appointed as the head chef. In 2007, Saito-san found himself skilled and confident enough to helm his own sushiya, thus Kanesaka Akasaka was renamed to Sushi Saito. 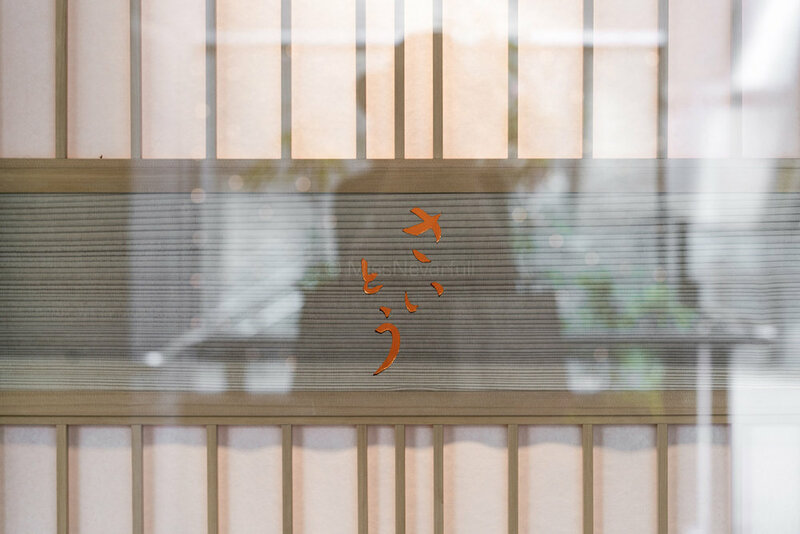 Sushi Saito is one of only three Michelin-3-starred sushi restaurant in Tokyo. 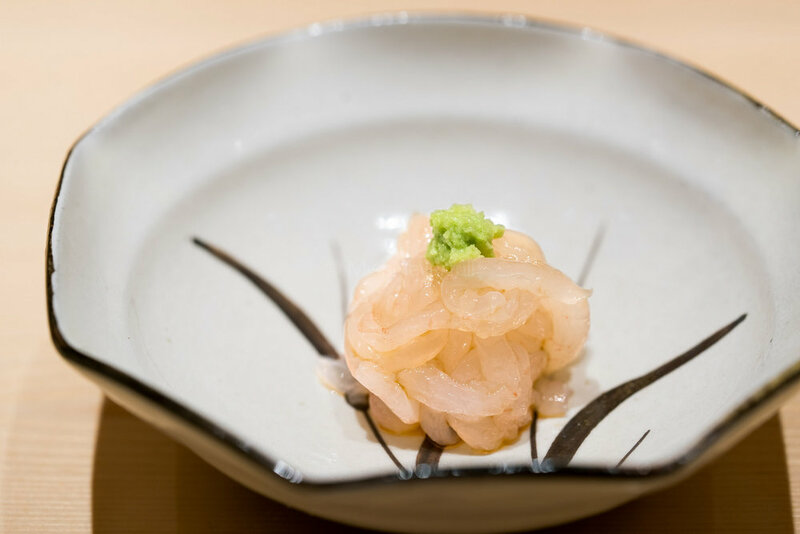 It is also the top-ranked sushiya according to Tabelog. Moreover, Sushi Saito is also very famous for To become one of the eight guests here is such an honor for sushi lovers around the world, however Sushi Saito doesn't take reservations from first-timers. And even you have been there, you may not be able to get in as it is always fully-booked. My reservation was made right after my last meal here with Saito-san's apprentice at the private room [review]. Luckily I got a slot with master chef Takashi Saito, this was literally the main reason I flew back to Tokyo again! Expect to pay JPY 20k for a complete Saito experience. The Omakase menu is available for both lunch and dinner, which includes assorted Tsumami (appetizers) and nigiri sushi. Other options includes three sushi sets (without appetizers) available only during lunch, priced at JPY 5k (10 pcs), 10k (15 pcs) and 15k (18 pcs) respectively. It is not easy to get a reservation at Sushi Saito, so yes, Omakase please! Frankly speaking, I thought Sushi Saito is possibly over-ratted especially by regular customers because it is extremely hard to get a reservation. But I was totally wrong - my experience with master chef Saito-san was extraordinary. Although my last visit at Saito was handled by his apprentice, the Tsumami (appetizers) was really impressive. It was even more amazing this time. Starting with one of my all-time-favorite appetizers, Shiro-ebi, or baby white shrimp (from Toyama 富山). Look at those shinning baby white shrimps - so fresh, creamy and sweet! I have had tako (cooked octopus) and a lot of Sushiyas, and Sushi Saito arguably serves the best in my life. 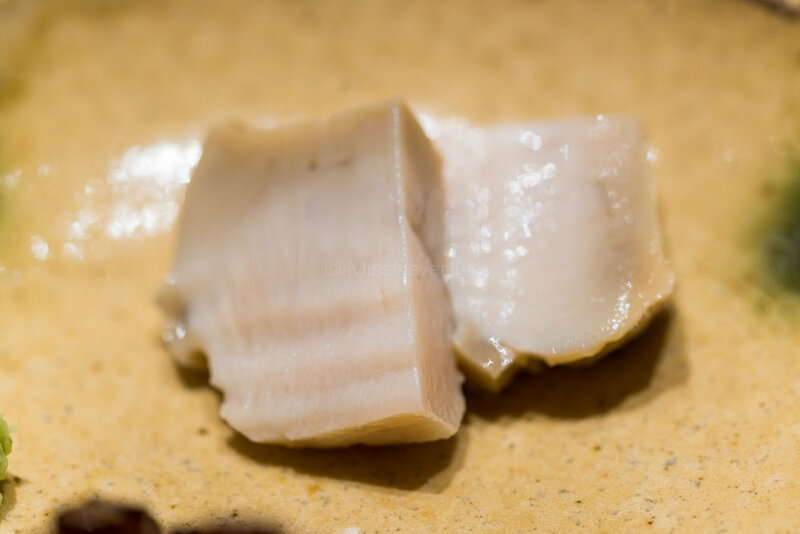 It was so perfectly cooked with a jelly texture on the outside, it was incredibly tender and slight chewy, packed with umami flavors with bursting of sweetness. Steamed kuro-awabi (black abalone) was very aromatic and tender as well. Speechless. Next were three varieties of uni (sea urchin) from the Kumamoto, Ehime and Hokkaido regions. Each has a distinctive texture and flavor to impress me. Followed by Isobe Grilled Tairagai (Pen shell), served with seaweed to give an extra mouthful . 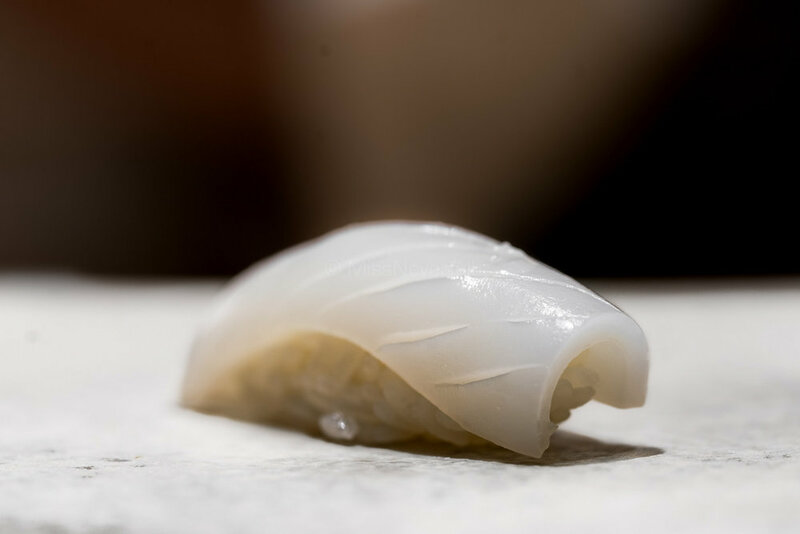 It was not the peak season for katsuo (bonito) while its deep flavor still made up for it, rolled with scallions to elevate the flavor to another level. I also enjoyed every bite of the kegani (hairy crab) mixed with some ovaries, so juicy, umami and sweet. Tsumami (appetizer) game ended strongly with grilled Tachiuo. This was the best-preparation of grilled fish I've had at a sushiya in recent memory. Beneath the crispy skin was a layer of delicious fat, the meat was succulent and delicious. Before the arrival of the sushi, two pieces of pickled eggplant were served to cleanse my palate. Among all the sushiyas I have been so far, Saito-san honestly serves the most balanced and mild nigiri for my liking. Unlike some sushiyas (not mentioning which ones) where sushi have sharp flavors, heavily marinated or aged, Saito-san knows the trick for the best balance to make the flow comfortable for most customers. All the fish were well-prepared, the shari was perfect in texture and tastes. I really loved the Kinmedai (golden eye snapper), it was rich in oils and really appetizing. Kohada (gizzard shad) was other amazing piece, so tender and enticing. Followed by everyone's favorite tuna: Akami, chu- and o-toro, the high flavors and the rich oils of toro melts. Divine. Kuruma-ebi (prawn) was just boiled and Saito-san peeled its shell in front of us. The large shrimp was lusciously meaty. Saito's ika (squid) was also my favorite so far, clean, creamy and has a sweet hint. Uni (sea urchin) was definitely palatable , the high tastes and tenderness of Aji (horse mackerel) was spectacular too. Anago was freshly-cooked and served in two ways. 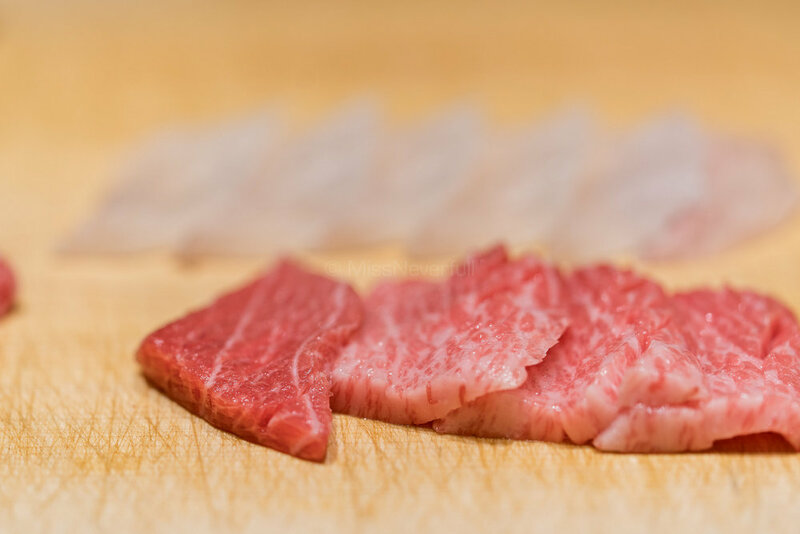 With shio (salt) to enjoy its best original flavors, and tsume (sweet soy sauce) to bring a sweet twist. Both were moist and wonderfully melted in my mouth, the aromatic aftertastes was delectable. Kanpyo-maki (sushi roll with dried gourd) arrived right after the aromatic miso soup with scallions. Saito's Kanpyo matches my tastes buds very well, very nice balance of acidity and sweetness. The meal supposed to end here with tamago, but my craving stills. However i was a bit slow on the draw because everything here was marvelous. Seeing Saito-san was slicing toro thus decided to have one more toro-temaki (hand roll). 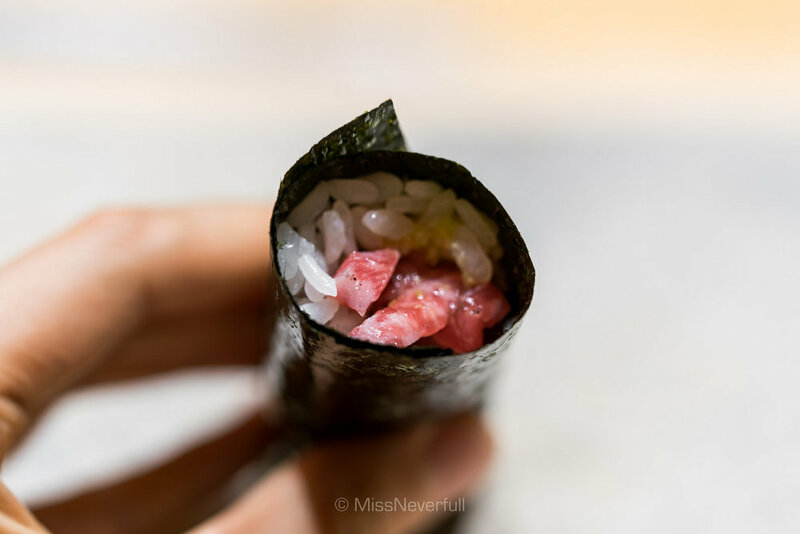 With the help of the crispy seaweed, the hand roll with fatty tuna was nothing but lip-smacking. You can never leave a sushiya without having the tamago (egg custard), let alone at Saito. Nothing is better to end a meal with this silky pudding-texture tamago. Chef Takashi Saito-san is surprisingly friendly and outgoing, he communicated a lot with the guests and the whole dining room was full of happiness. The ambiance, the people, the food - everything was top notch here. What else can i say?